Nebraska was the first school I thought of!! How in the world is the QB going to find his receivers when they blend straight in???? No kidding! Like they have to wear all white unis just to show up! Awful. Wreck you guys could be the first to go all orange! I could ALMOST (but still NEVER) see an all black field (our other color) -- but the field temperature would get up to about 160 degrees!! Fields should be GREEN grass --if no grass, it should AT LEAST green! That would be enough to give me a migraine. And I don't even have migraines. It's hideous! cable - bill paid and in working order. TV - new last season, HD flat screen. Good to go. food - menu is wings from our favorite neighborhood place. Already ordered to be picked up at 5:30.
dog - trained, bathed, and excited. New Auburn bandana. Xanax - not needed for this game. Saving for later in the season. 6. House picked up - OOPS... our game doesn't start til 6pm. Good luck to all today - play hard and healthy. Good Luck to all monkey teams today!!! Florida State has 15000 empty seats in the stadium.... sad... and spanking some school I never heard of 42-0 in the first half. WOW. Wow.... I can't wait to see the film on that. I have goose bumps just typing this. We love ya Mark. God bless. Give 'em hell and have a great season. Start of 4Quarter: Miami OH 167 total yards, Florida 26. Unreal. Yeah, Florida got our offense from last year! Well we've been open for a few hours today at Kiwi's Dawg House. Wow its packed in here no empty seats like in Fla St. Hey no throwing things at the TVs or the fences will go up. Ya I know most of it was my fault with how great Michigan was playing! So have fun today and play nice!!!! Who are the jayhawks playing today -- or are they?? 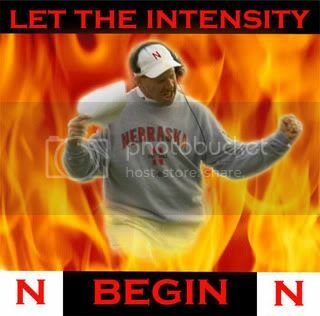 I see they are playing N. DAK State ................. maybe they will add them to their new words to their fight song! "Oh we'll stampede those Bison boys" or something!!! Yeah - that's got a nice ring to it Wreck. Less than an hour til kick off an Bo still hasn't announced our QB. Everyone is saying it is the redshirt freshman out of CA because he is a speed demon that can scramble. Guess we'll know soon enough. For some reason he wanted this under wraps. ha ha Like the CIA. K State is playing well against UCLA... its probably because Annie has that purple scarf on... no doubt. Page created in 6.113 seconds with 19 queries.